The Naperville Garden Club has been active in the Naperville community for 90 years. Through the decades we have worked to fulfill our mission to promote the love of gardening, floral design and civic and environmental responsibility. We are accepting new members and if you would like to learn more about becoming a member, please contact us. We invite you to join us at our Wednesday, April 24 meeting. We meet at Seven Bridges Golf Club, One Mulligan Drive in Woodridge. 8:45 a.m. Registration and refreshments, 9:15 a.m. Business meeting followed by the program, “Month by Month Perennial Color,” presented by Joe Smolecki of Hoffie Nursery in Union, IL. Paid reservations ($20, payable to the Naperville Garden Club) are due April 17. Call Barbara at 630-650-4405 to make your reservation. Public Plant Sale May 9 and 10,. 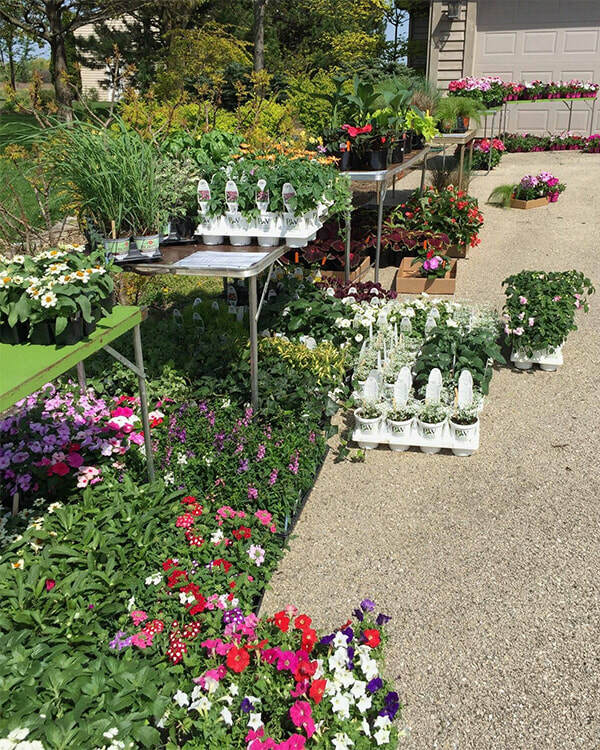 Our plant sale will be held Thursday, May 9 and Friday, May 10 from 9-4 at 9S031 Chandelle Drive - at the end of the street in Aero Estates (83rd and Rt. 59). We will have hanging baskets, annuals, ferns, native plants, perennials from members’ gardens and garden related items for sale. Cash or checks only. Proceeds help us give scholarships to area students, complete civic projects and encourage amateur gardeners. Please learn about membership in our club or simply join us at any of our general meetings and public events. Founded in 1929, we have been active in the Naperville area in community projects promoting our mission. Since 1978, we have been awarding scholarships to students pursuing degrees related to horticulture, earth science, botany, or conservation. Much of this is made possible through our annual Cup of Cheer™ fundraiser. Please contact us or follow us on facebook. © Copyright 2019. Naperville Garden Club, Inc. All rights reserved.